Check out the full article at Dogster.com. Before I became a professional dog trainer, I sat through countless hours of classes with my pet dogs: agility, herding, obedience, rally, puppy classes — you name it. Most of my own dogs have been rescues and came to me with unique behaviors, to say the least. But I was discouraged by most of the classes I took. Why? They were boring, for me and for my dog. They also often failed to address the real-life problems I experienced with my dogs. 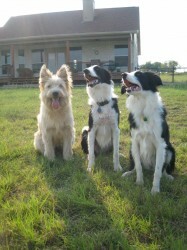 Two of my Border Collie rescues, for example, were nearly feral as puppies. I took them to a big box-store puppy class, because I knew socializing and training them around other dogs was crucial. My shy dogs were overwhelmed and not ready for a public class, but the trainer didn’t tell me that, and back then I couldn’t recognize it. One of the dogs drooled the entire miserable hour and another tried to sink through the concrete floor. Neither accepted training treats. We flooded them — overwhelmed their senses and shut them down — and succeeded in teaching them that it is scary to be in public places. My dogs can handle a pet store much better now, but I rarely ask them to endure it because it left emotional scars on them. I asked for my money back, but the big box store trainer said there were no refunds. When I teach dog training classes now, I keep in mind what it feels like to be a student, handling what might be a very rowdy dog or a very shy dog or even your first dog. I always schedule a pre-interview with clients to make sure both owner and dog are ready for a class. If they aren’t, we do private lessons until the dog is ready to attend a class. I also do something I learned from an earlier business career, which I have never seen another dog trainer do: I ask attendees to fill out an anonymous form and share with me what they loved and didn’t love about my class. Most of the time, I get good reviews, but when I don’t, I take the feedback seriously and address the concerns head-on. Set it up with a couch, a kitchen table, and a real door with a real doorbell. People live in real homes, after all, and you need to know what to do if your dog is annoying people when you sit on the couch or greeting people at the door with jumping and licking. During class, if your dog’s behavior is over the top — or he is triggered “over threshold” and is unable to learn while stressed — the trainer should tell you that it’s perfectly fine to step out of the classroom for as long as it takes the dog (and sometimes you) to recover. The hard stare from one dog to another is the beginning point of an unwanted canine reaction. Teach owners that dogs of any age won’t enjoy sitting too close to other dogs and just staring at one another. Ask owners to bring high-quality chew toys. Use partitions to block the stare when needed. It isn’t productive to have more dogs and handlers in a class than one instructor can give individual attention to when it is needed. One trainer can most likely handle five teams, which allows for ample instruction to all class members. This is a biggie: Devote the last 15 to 30 minutes of each class to class suggestions. You might not be interested in teaching your dog a five-minute down stay, but you do want to know how to bring the groceries in from the car without your dog jumping up to investigate what is in each bag. Dog-to-dog greetings are difficult for many pet owners. You might have a shy dog you want to protect or an easily excited dog who is too exuberant when meeting new dogs or people. We instructors need to teach everything we know about the subtleties of canine language and what warning or stress signs look like. People come to classes genuinely hoping to help their dogs. If you take your dog to a professional trainer, you deserve kudos, because you are in the minority, by far. I’ve heard estimates that as few as 7 percent of dogs receive professional training. People are often disappointed when their dogs don’t make friends. Many owners feel that all dogs will love all dogs. This is not true, just as we humans do not love every human we meet. The best teachers have empathy, compassion, and preparedness for their students, be they canine or human. Play games! Be silly and relaxed, and your classes will be, too. I hope the days where we stand in front of our pooches and scream “SIT!” over and over are long gone. Now, for dog owners: You have your homework, too! Once you have decided to attend a class, do the research and make sure your trainer actually is a positive-reinforcement trainer. Learning should not physically hurt your dog. You also need to practice what you learn in class. It is not reasonable to expect your dog to learn everything in a one-hour class once a week. (And yes, your dogs do tell us which of you have been practicing and which have not!) If you spend just ten minutes three times a day working with your dog, you will be amazed at your pet’s retention and abilities. Don’t just train at home. Reach out to your trainer if something doesn’t make sense to you or is not working. Bottom line: be proactive. After listening for years to what dog owners tell me they want from behavior classes, I know we trainers can all do a better job meeting their needs. We must teach effectively and fairly, which means asking ourselves how we can improve classes and taking some of the responsibility for the dismal lack of owners attending classes with their dogs. Are you listening to your students? Or are you only telling them? Try listening. The owners –- and their dogs -– will thank you. As for you students out there: Tell your trainers what you want to get out of the class. It’s made a world of difference in my practice. Dogster.com just published my latest article! Growing up in a gravely dysfunctional household where coldness was the prevailing sentiment, I turned to animals for unconditional love. Even a mound full of Texas fire ants became friends. I brought them Popsicle sticks not only for ant bridges but for the sweetness left on the sticks. They never attacked me, but they did swarm up my mean older brother’s legs when he tried to drown them all to upset me. I am nearly 50 now and animals have never let me down, even as I let a few of them down because of my own shortcomings. Read the full column at Dogster.com. 1) Sit means “please.” There is an accurate saying in dog training – you get what you reinforce. When a professional trainer shows up at your house, we know right away what you have been reinforcing and very often we find your dog is really good at jumping on people to greet them. Reward an offered (as opposed to you telling the dog) sit over and over again until the dog understands that “sit” is the magic skill that gets her treats, praise, opens doors, puts the leash on her for a walk and everything else. If a dog is sitting, it can’t be jumping up to say hello, it can’t be dragging you down the street and it can’t be counter surfing. Reinforce the behavior you want from your dog. Check out the site for more of the article! It’s the same every day for this dog trainer: Wake up. Let dogs out. Stumble toward the Keurig. Stop halfway to let a dog back in. See the whole thing at Dogster.com, a great site full of awesome stuff about our favorite furry friends. We use all dog-friendly methods to teach your dog ANYTHING! We give your dog a clear communication path that allows your dog to learn to love to learn. Annie is happy to test your dog for the AKC Canine Good Citizen award. She is an AKC CGC Evaluator. Certified Dog Trainer Annie Phenix helps your dog to learn how to behave and enjoy life with its human companions. After being heavily involved for more than 15 years in rescuing and retraining hundreds of dogs from every Central Texas animal shelter, Annie has seen just about every behavior — good and bad — that a dog can offer. She’s worked with puppies and senior dogs and everything in between. She’s also worked with just about every breed (and, yes, she is happy to work with your “bully breed” dog) and as well as any combination imaginable of mixed breed dogs. Phenix uses the most up-to-date, kind, effective and science-based dog training tools available to forward-thinking dog trainers. She uses her vast experience as a professional and award-winning businesswoman to quickly communicate to both dog and owner how to resolve any canine-human conflict. Phenix combines her years of hands-on experience together with her deep affection and understanding of all things canine and the end result is a smart, caring, professional and results-focused dog trainer. She even returns your phone calls in a timely manner! When you are looking for someone to help your best friend, call the Certified Dog Trainer who makes sure dogs learn in a happy, constructive and effective environment. 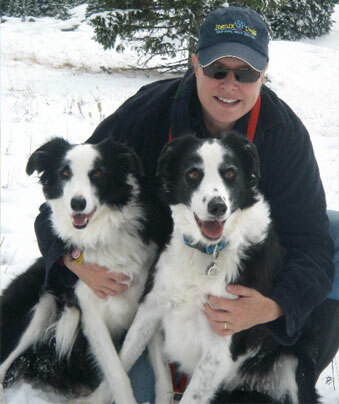 Annie has studied the science of learning for years and she knows how dogs – -and humans — learn. Put her knowledge to work for your dog today! 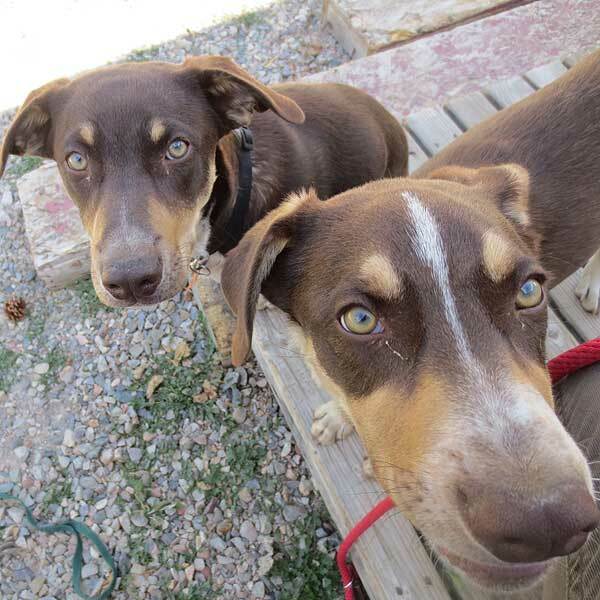 Colorado dogs love Annie, and you will too! !